Excited to start our weekend escape, we packed up the car bright and early Friday morning. With our “to go” coffee safely stashed by our side we headed north, eager to see what adventures awaited us in the big city. Our son Andrew and his wife Leah moved to Portland in 2010, eventually settling in the Pearl District. Once home to warehouses and light industry, the Pearl has transitioned into a lively mixed use neighborhood within easy walking distance to all downtown has to offer. And walk we did! Taking advantage of dry skies Saturday morning we wandered along the waterfront, strolled back into town where the Farmers Market was in full swing and concluded our morning with a visit to the Oregon Historical Society Museum. A casual lunch, a late afternoon latte, dinner at a tiny little Italian restaurant and it was time to call it a day. Sunday we'll say goodbye to Andrew, Leah and the exciting city of Portland. We'll make the drive home, unpack and anxiously anticipate our next exciting getaway. 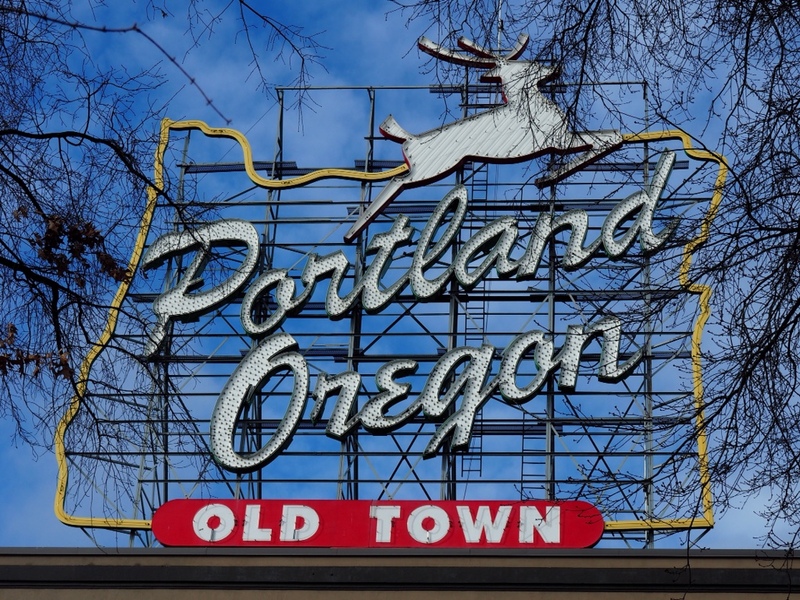 Originally a sign for White Stag sportswear, this iconic landmark has been a staple of the Portland skyline since the 1940s. 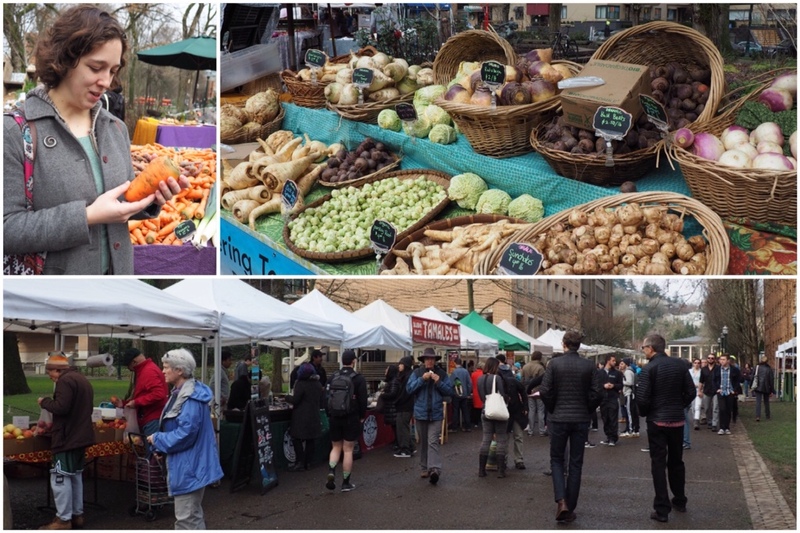 Dry weather brought both vendors and customers to the year-round Farmers Market. I remember that she went to school there…it was fun to be there when it wasn’t raining!